Paste is where your ideas come together. 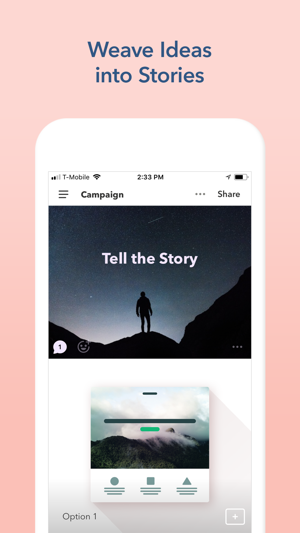 From strategy decks to design proposals, Paste automatically formats screenshots, videos, and links as beautiful presentations ready to share with a simple link. It's collaboration for today’s most creative teams—fast, flexible, and visual. 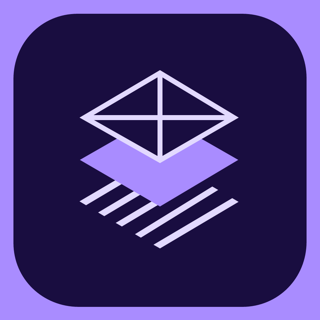 Drag anything into a deck to instantly create slides from screenshots, videos, docs, and links. Add photos, files, or links to embed YouTube videos, Google Docs, or design files. Auto-layout formats everything for beautiful slides with no wasted effort. 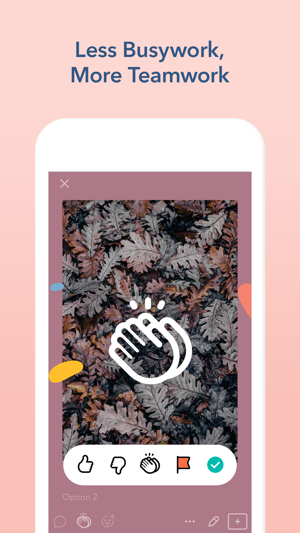 Frames are smart filters that wrap any media inside a beautiful phone, tablet, or web mockup. Paste helps you develop your biggest ideas. See everything and make sense of your work in Storyboard View. Create sections and arrange slides to find the flow that brings your story to life. Gather input without distractions. 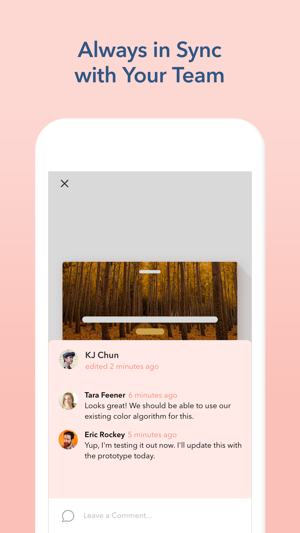 Leave a quick reaction or a lengthy comment—vote, flag or mark it “done.” Integrate with Slack to seamlessly pull your deck into your team conversations with share and comment notifications. Set up confidential decks using Slack’s private channels. Create and review in real-time. 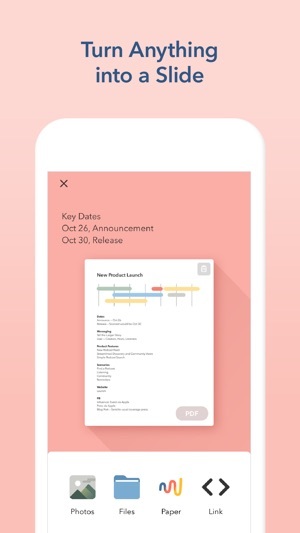 Paste syncs to the cloud, so you always have your team's latest thinking at your fingertips. Browse, zoom in, and download every image, file, and video in full resolution. When you’re ready, present your deck onscreen, download as a PDF, or post a public view-only link to the world. I am getting some of the strangest bugs repeatedly, and inconsistently. Trying to change the shape of photos, the layout of the slide, or the background color results in changing these things on OTHER slides, instead of the one I’m editing. Sometimes it changes slides ahead, sometimes slides behind. On other slides, it works as intended and edits the current slide. I see a lot of potential in this app, but unfortunately I can’t spend more than half of my time fighting with these bugs when I need to be producing content instead. Hi Saminec, we'd responded again saying that the correct email address is support@pasteapp.com. If you're still having difficulty with Paste please do send us an email. You can also contact support directly via Paste - click the question mark in the top right corner and then click "Questions and Feedback". I really enjoyed this app, since this is exactly what I was searching for, and thankfully found. Apart from few minor bugs, my only considerable suggestion/complain it is that it should be a way to visualise everything offline, since personally my main use is to past art and write about it as references, thus creating my own work. An then sometimes it is just useless since very often I am in places where there is no connection to any internet at all, and I want to see and use the app, it feels very frustrating; it would be very nice if you guys could find a way to make this possible. But again, thank you very much for this application, it is perfect for I was aiming for! Hope you guys can grow even more, rooting for y'all! Thanks for the new fonts! 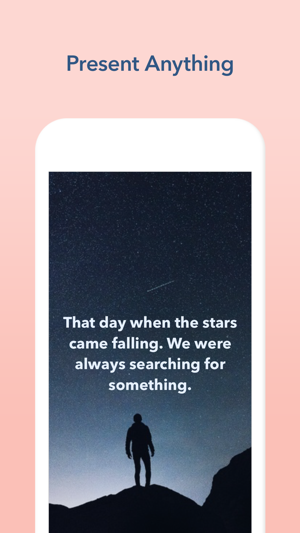 I love how the app beautifies my text and photos automatically with just the right background. Such a great way to create cards and boards for sharing with teams. I use it personally to organize my screenshots and other miscellaneous notes. Can’t wait for Search feature, which developers say is forthcoming. Thank you very much for the kind words about Paste. Glad you like the custom font feature! I have good news, as of today, 11/08, you can now search for deck title when using Paste on the web (search will come to Paste mobile soon). If you have ANY questions or feedback about search please don't hesitate to reach out.